Quick and reliable translation of your official documents with our professional translation service. Simply choose the documents you would like to have translated, receive an instant quote online and then submit them for translation. They will be delivered within the stated time frame (usually this will take from 24 hours). And this is all available from within your own bookshelf area! Standard Translation: Translation carried out by one professional native speaking translator. Quality assessment by second translator and control by a dedicated project manager. 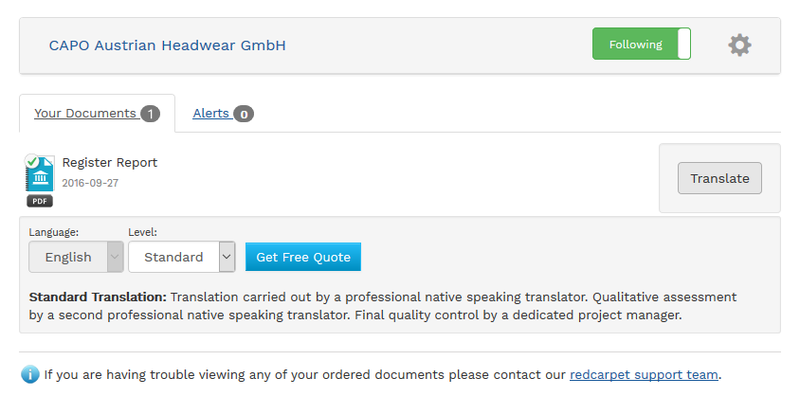 Premium Translation: Translation carried out by a professional native speaking translator with a full review by a second translator. Final quality control by a dedicated project manager. Click on the following buttons to see a live sample of a translated document. This service is a feature of our business and corporate plans, or upon request. Translated documents are charged separately. Got an account already? Click here to login. If you have any questions, just contact one of our solution specialists. Purchase an original document and select it from you bookshelf. The kompany service will already have identified the language of the original document. Choose the level of translation service that you require and request a quote for the translation. Once you have received your quote you can change the level of translation service if you wish to, or you can submit the document for translation. Your bookshelf will display the estimated delivery date. 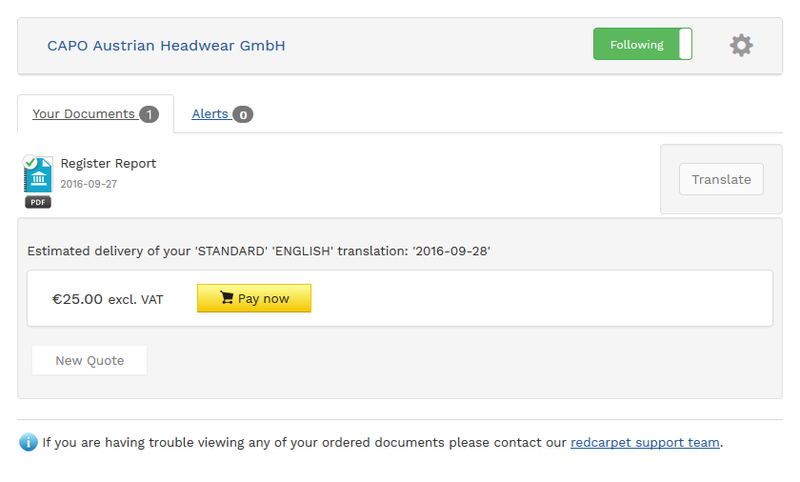 You will also be notified by email when the translated document arrives in your bookshelf.